In a former bourgeois mansion in Saint Cloud, the Mercure Paris Saint Cloud Hippodrome hotel features 39 fully equipped and air-conditioned rooms. Our La Villa restaurant offers sophisticated cuisine made from quality, fresh products, as well as a wide selection of wines to taste in a cozy setting. Our meeting room accommodates up to 30 people and can be booked for both professional and private events. 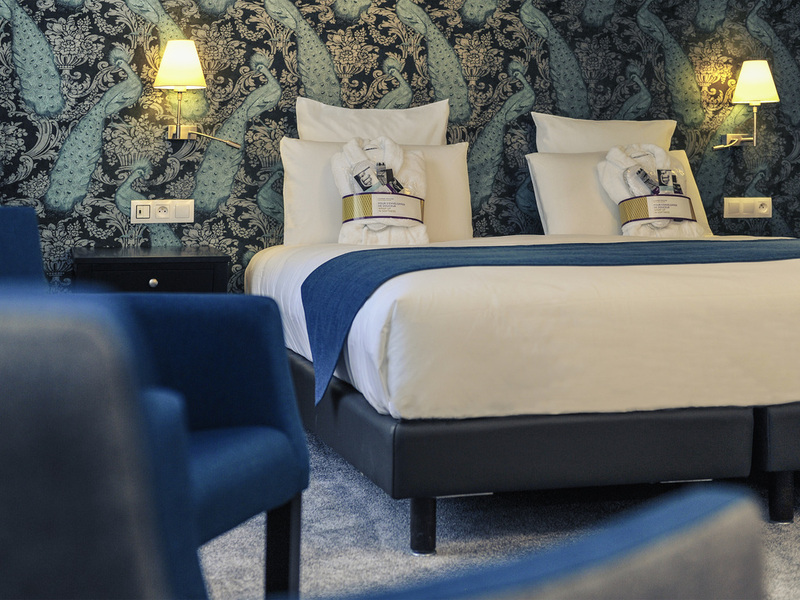 The Mercure Paris Saint-Cloud Hippodrome hotel is just a stone's throw from the Saint-Cloud SNCF Transilien train station, making it the perfect location for travelers looking to get to La Défense, Paris or Versailles in less than 15 minutes. Discover our brand new restaurant, The Villa, with its inventive and modern cuisine. In summer, enjoy a coffee or an apéritif from the bar on our sunny terrace. Privatization of the restaurant and seminar room available upon request. Our rooms offer cozy comfort and elegant furnishings. They are equipped with free WiFi, tea and coffee making facilities, satellite TV, minibar, safe and individual air conditioning. Our inventive, modern, French cuisine is inspired by a bourgeois tradition where market produce is mixed with special ingredients. There is a large bar, where you can enjoy a coffee or aperitif in elegant surroundings, and a sun terrace in the summer. Our bar is a great place for taking a break or having a light snack.